Ernest Hemingway called Huckleberry Finn "the best book we've ever had. There was nothing before. There's been nothing as good since." Critical opinion of this book hasn't dimmed since Hemingway uttered these words; as author Russell Banks says in these pages, Twain "makes possible an American literature which would otherwise not have been possible." He was the most famous American of his day, and remains in ours the most universally revered American writer. 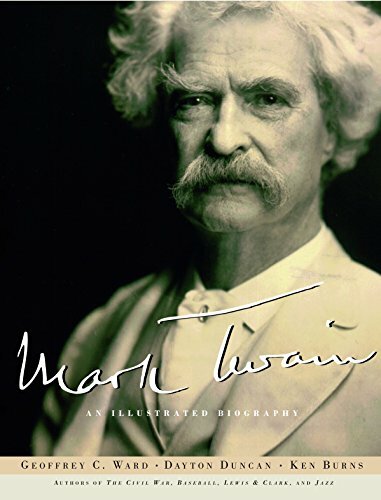 Here the master storytellers Geoffrey Ward, Ken Burns, and Dayton Duncan give us the first fully illustrated biography of Mark Twain, American literature's touchstone, its funniest and most inventive figure. This book pulls together material from a variety of published and unpublished sources. It examines not merely his justly famous novels, stories, travelogues, and lectures, but also his diaries, letters, and 275 illustrations and photographs from throughout his life. The authors take us from Samuel Langhorne Clemens's boyhood in Hannibal, Missouri, to his time as a riverboat worker--when he adopted the sobriquet "Mark Twain"--to his varied careers as a newspaperman, printer, and author. They follow him from the home he built in Hartford, Connecticut, to his peripatetic travels across Europe, the Middle East, and the United States. We see Twain grieve over his favorite daughter's death, and we see him writing and noticing everything. 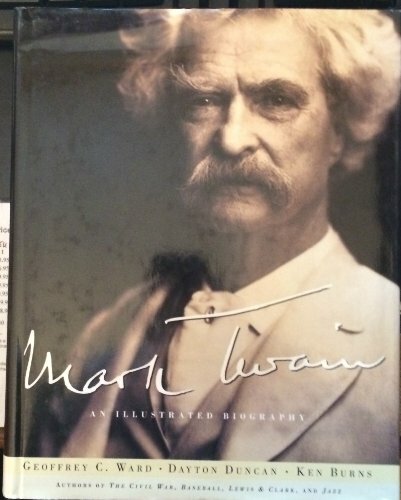 frequent Twain portrayer Hal Holbrook, this book provides a full and rich portrayal of the first figure of American letters. GEOFFREY C. WARD is the author of twelve books, including A First-ClassTemperament, which won the 1989 National Book Critics Circle Award and the 1990 Francis Parkman Prize of the Society of American Historians. He has written or co-written many documentary films, including The Civil War, Baseball, and Jazz. DAYTON DUNCAN is the author of five books, including Out West: An American Journey and Lewis & Clark (with Ken Burns). He has been a consultant on many of Ken Burns's films, including Lewis & Clark, and was also the co-writer and consulting producer of the PBS series The West. KEN BURNS, founder of Florentine Films, is a director, producer, and writer who has been making documentaries for more than twenty years. His landmark film The Civil War was the highest-rated series in the history of American public television, and his work has won numerous prizes, including the Emmy and Peabody Awards.